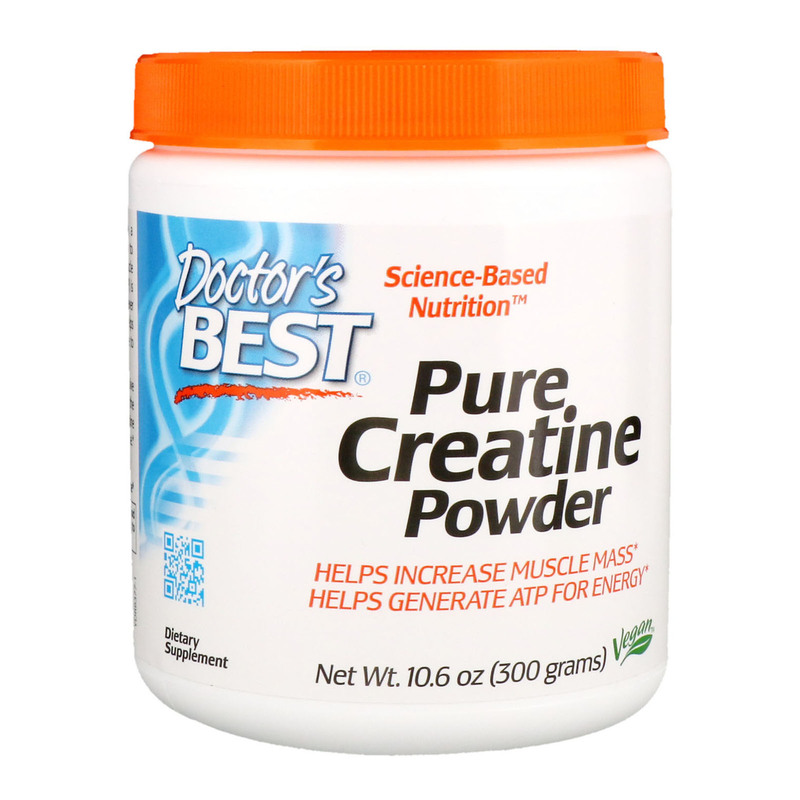 Doctor's Best Creatine Powder contains creatine, a naturally occurring amino acid that has been shown to supply energy to all cells in the body to help boost muscle strength and endurance. Adenosine Triphosphate (ATP) is a molecule used as a fundamental energy donor whenever our body uses energy. Supplementing with creatine helps the muscles to store more of this high-energy molecule to provide greater gains in strength and muscle. Creatine helps support physical performance in successive bursts of short-term high intensity exercise, providing the ready source of energy for the athlete on the go. Creatine also helps support muscle recovery from intense exercise. 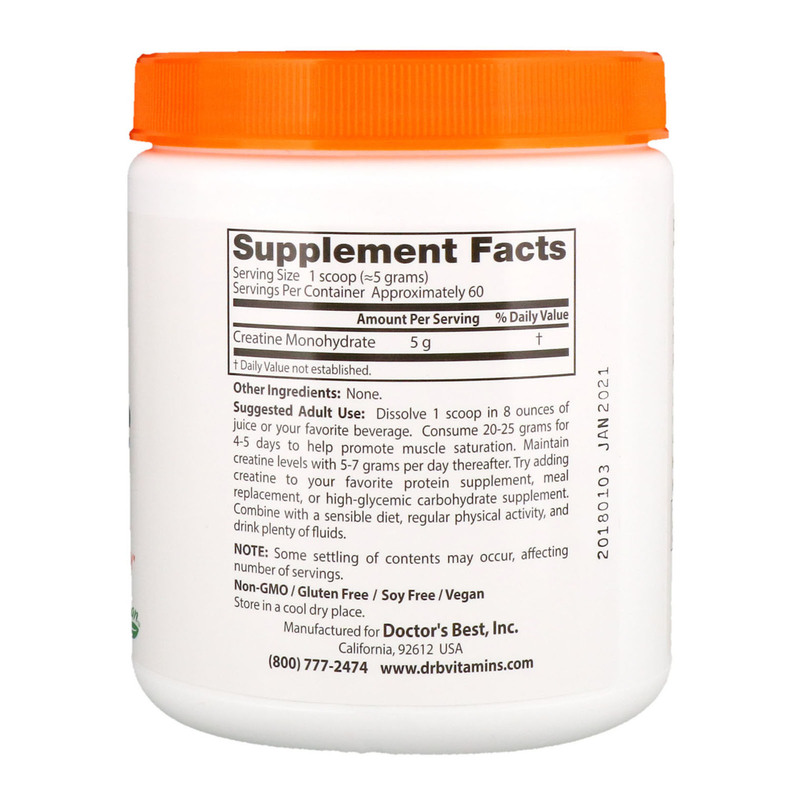 Helps generate ATP for energy, strength & endurance. Suggested Adult Use: Dissolve 1 scoop in 8 ounces of juice or your favorite beverage. Consume 20-25 grams for 4-5 days to help promote muscle saturation. Maintain creatine levels with 5-7 grams per day thereafter. Try adding creatine to your favorite protein supplement, meal replacement, or high-glycemic carbohydrate supplement. Combine with a sensible diet, regular physical activity, and drink plenty of fluids.